Done in a floral embossed tissue organza that has slight texture to it. Fabric is sheer, lining under bodice shows through with a sweetheart neckline with thin spaghetti straps. Skirt is ultra gathered for a super full look. Corset covered buttons line down the back. Skirt is fully lined with a tulle layer. 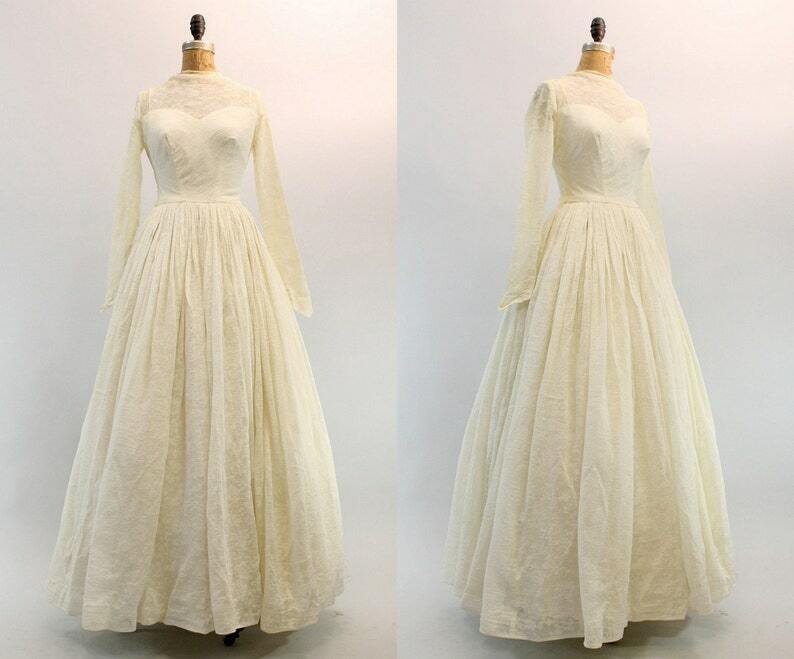 Condition: Excellent Vintage: Tiny bit of what looks to be make up discoloration on neckline and sleeves. Very minor. Bust (underarm seam) : up to 35"
Shoulders (seam to seam): 15.5"
Sleeve (inside seam) : 20"